Author: Probably James, the son of Alphaeus, or Cleopas, “the brother” or near kinsman or cousin of our Lord (Gal 1:18, 19), called James “the Less,” or “the Little”. Brief description: James – The nature of true faith (religion). James sets forth the nature of true faith; true Christianity, in this letter. His purpose was to counter the 1st century persecution, heresy & disillusionment which were all powerful opposing forces arrayed against the early Christians of that time. 04) Praying persistently for ourselves & other people. 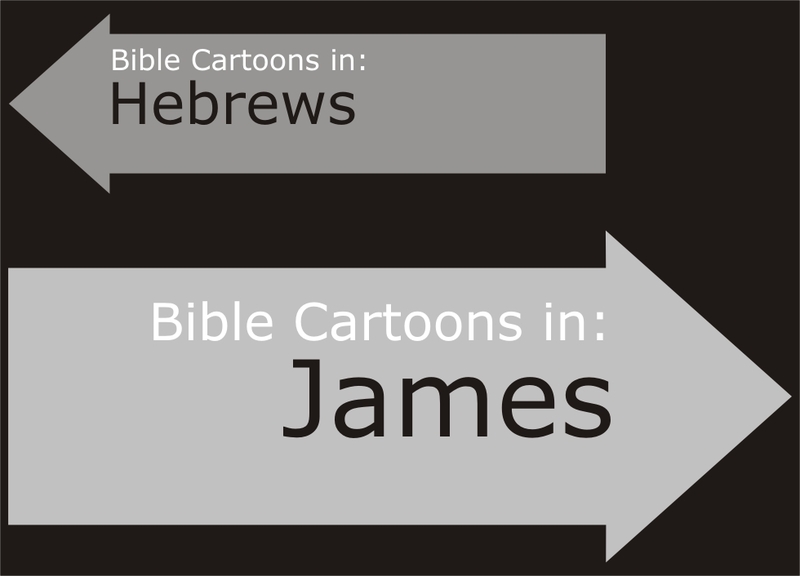 The major doctrinal contribution of James deals with faith & works. James clarifies these two terms & explains their inter-relatedness. James taught that genuine salvation is a gift from God, received through faith; it does not come through works. A person who is genuinely saved through faith will want to operate in a loving, helpful way in this world (ie do works) because they have been saved. The apostle Paul (as an missionary/evangelist) taught that salvation comes through grace & faith, not through law & works. James (as a teacher/pastor) taught that salvation comes through faith & is then demonstrated as being real & alive, by works in a Christian. These two men emphasise the same message in different ways. Many people (both in the 1st century & today) hope for, & sometimes expect that faith in Jesus will bring them success, wealth, power, prestige, etc & the elimination of troubles & difficulties in their lives. James’ message warns us of the dangers of wealth & he made it clear that the Christian life has by no means a guarantee of trouble-free ease. He focussed on the possibility of true joy within the context of trials & tribulations. 01) Seek God’s wisdom above the world’s wisdom. 02) Genuine salvation can only come by faith. 03) Genuine salvation results in obedience to God’s will, leading to ministry to our neighbour. We are to keep a tight rein on our tongues, & lead a life of piety, purity, prayer, self-control & humility. 04) Trials & difficulties are to be expected in the Christian life, we can experience joy (perhaps unexpectedly!) in the midst of these troubling events. 05) Not doing the good we know we should is actually sin. 06) Attitudes & actions go hand-in-hand: good behaviour starts with good attitudes in the mind. 07) Wealth presents special problems to Christians: do not favour the wealthy over the poor in church life. 08) It is entirely possible to resist the temptations of the world & the devil. 09) Jesus’ return provides strong motivation for our devotion to follow him. 10) It is a vital part of Christian life to turn sinners from the errors of their ways.